I don’t have a lot of time to make dinner at night. It’s tough juggling spending time with my baby, working, and dinner. My husband is amazing and cooks dinner several nights a week. It allows me to spend some time in the evening with our baby and we still get a home cooked meal. However, I really miss cooking dinner every night. 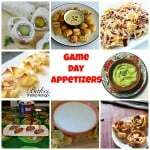 I enjoyed being in the kitchen and making gourmet meals. While I don’t have the time to make gourmet meals anymore, I can still make some simple and tasty ones. One of my favorite things to do is throw something together in the slow cooker while I have time in the morning before Baby J wakes up. 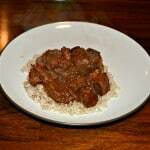 I can make some really great meals in the slow cooker. I especially like using it in the winter because most of the meals are comfort food and warm us up when it’s cold outside. I’ve been making a lot of soup in the slow cooker but I like to make other meals too. 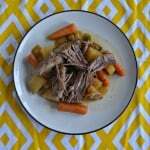 These Slow Cooker Italian Pot Roast Sandwiches are awesome. It makes 6 so my husband and I each eat one and then split and 3rd one for dinner and we still have enough left for lunch the next day! Plus there is often enough beef left over to make a plate of nachos for a snack the following day. I like that the peppers and onions are cooked in with the beef. They get a ton of flavor and taste great on the sandwich. 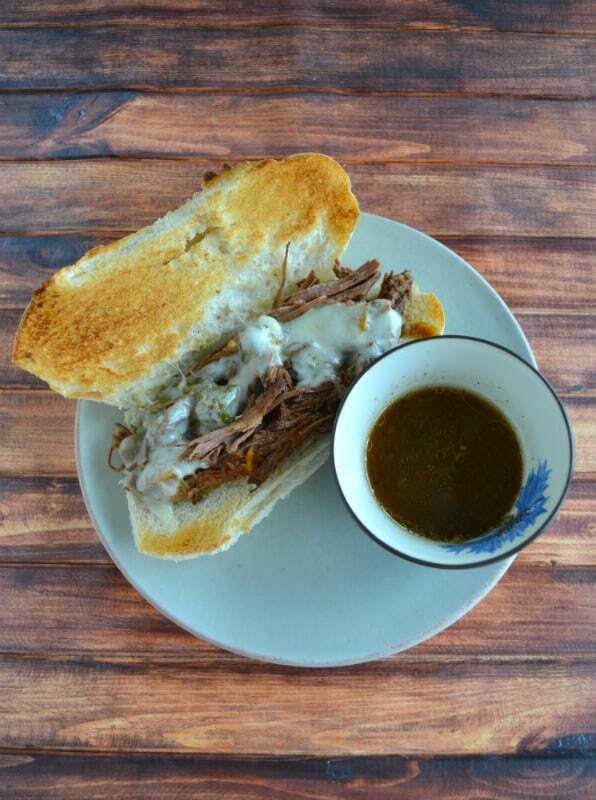 Plus the seasonings mixed with the beef broth make a delicious au jus for dipping! Sometimes we even melt a piece of provolone cheese on top but this sandwich is tasty without it and perfect for winter dinners. 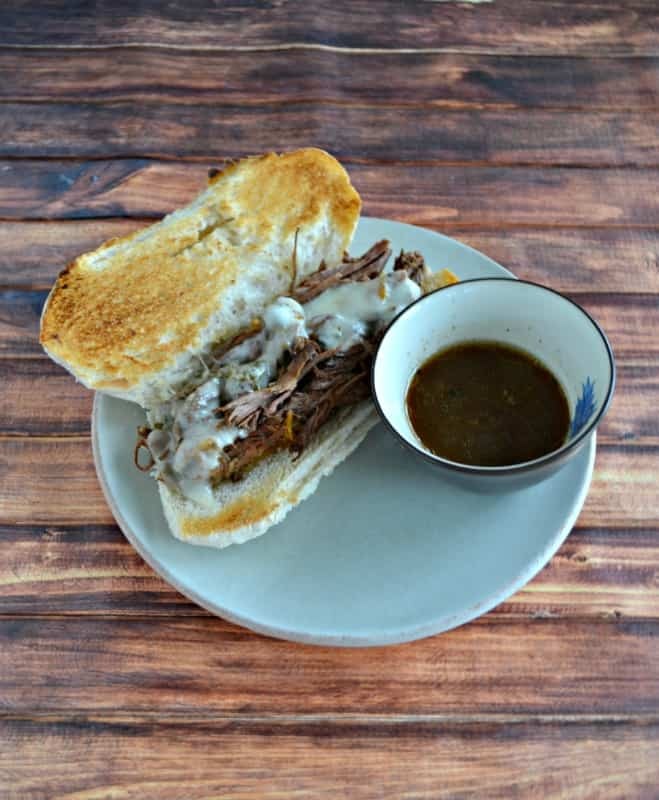 An easy and flavorful sandwich made with beef and peppers. 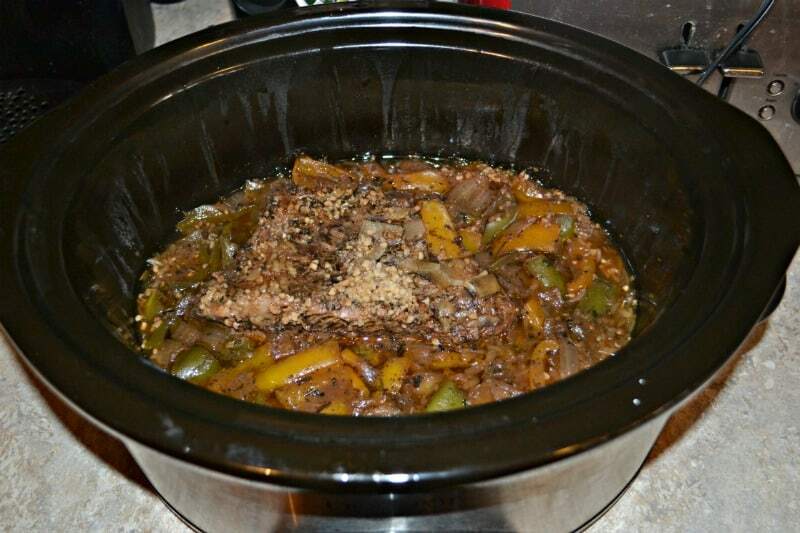 Rub the bottom round roast with salt and pepper and place in the slow cooker. Sprinkle the onions and peppers around the roast in the slow cooker. Add in the Italian seasoning, garlic cloves, red wine, and beef stock. 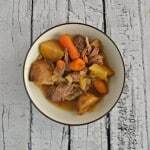 Pull the beef into chunks and mix with the vegetables and beef stock in the slow cooker. 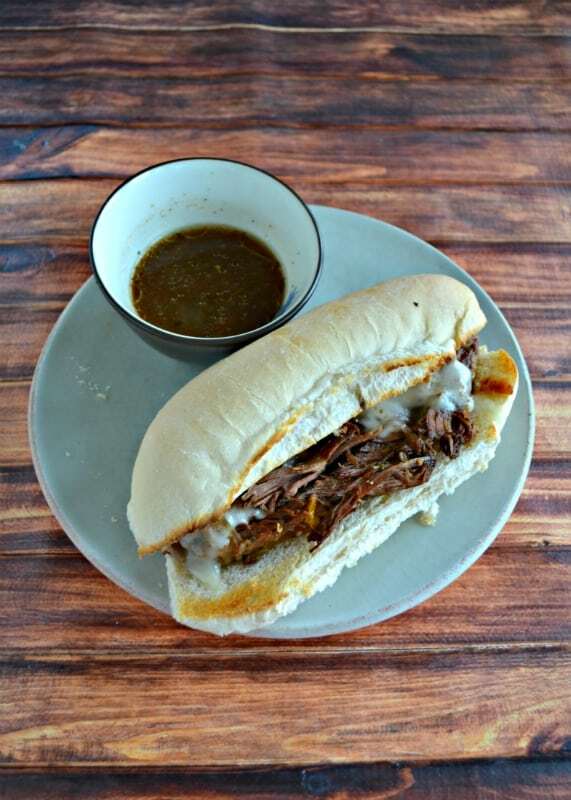 Put the beef, onions, and peppers on each of the hoagie rolls and then spoon out some of the au jus to dip the sandwiches in. Enjoy!